Absinthe is a highly alcoholic drink, popular among exotic drink enthusiasts. Usually this type of alcohol is green hued but comes in other colors sometimes as well. 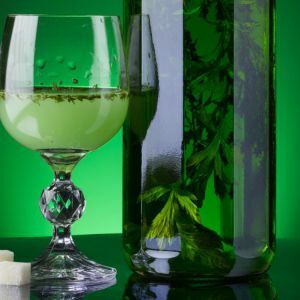 Absinthe is made from wormwood, dill, anise, melissa and other herbs. This beverage has historically become known as the green drink of the Devil or simply "Green Devil", due to the numerous incidents caused by people who drank too much absinthe. 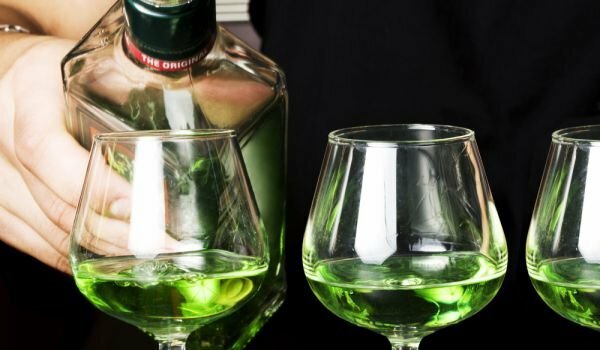 Absinthe has a long-standing history. Chronicles indicate that it was already known to humanity by the 18th century. Based on the most well-known claim, its creator was the French Dr. Pierre Ordinaire who lived in Switzerland. Originally, this potent herb blend served mainly as a treatment for certain diseases, including malaria and dysentery. As time went on however, some additional properties of the substance were discovered. And so, eventually it turned into a favorite drink for a whole bunch of people. At the end of the 19th century, Switzerland had the first absinthe factory. Later, the alcohol began being produced in industrial quantities in France as well. The beverage became especially favored among representatives of the French bourgeoisie. However, absinthe did have one negative aspect - its admirers became addicted to it very quickly and literally went mad after consuming it. The condition of individuals who became addicted to absinthe was considered to be much more serious than that of those suffering from classical alcoholism. This became the reason for addiction to the Devil's elixir to be termed absinthism. Resentment toward absinthe grew in the 20th century when it was shown to be the leading cause of numerous deaths. For example, when a man murdered his entire family and then tried to take his own life, his behavior was attributed to absinthe addiction. After enough people got ear of this incident, the drink was labeled a drug and sales of it were banned in a host of countries. Almost a century later, sales of it are once more allowed in Switzerland. For years on end, it was believed that the crazy behavior seen when consuming absinthe was due to the chemical compound thujone present in it. Nowadays however, German and American scientists believe that this substance is insignificant and that substantial psychotropic effects cannot be assigned to it. According to them, the behavior of people who abuse absinthe is owed to nothing more than typical alcoholism. Absinthe is produced from wormwood, fennel, anise, hyssop, angelica and other herbs. After the wormwood comes to a boil, a distinctly bitter tasting liquid is extracted. After going through distillation, the resulting liquid has an alcohol content of 82% ABV. The beverage gets its green color after the addition of other vegetable products or by artificial means. 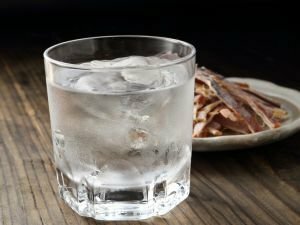 Water is also added, to serve as a thinner. The absinthe begins to change its color gradually. In the past, they would add honey and zinc to it, to improve the color. 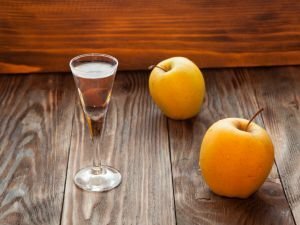 In modern times, the production of absinthe is watched closely and there exist different techniques that are applied. The content of thujone is also very closely watched. Currently, the biggest producers of the Green Devil are Switzerland, France, the Czech Republic and Spain. It is custom to serve absinthe in a tall glass. Specialized serving sets are used, where an absinthe slotted spoon is placed atop the glass with a sugar cube and the alcohol is poured in over it. Then, the cube is set aflame and the resulting caramel ends up in the drink. Ice is added, as well as water if desired. 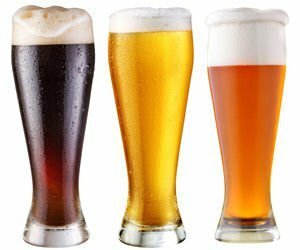 All the same, this procedure requires experience and high alert due to the high alcoholic content. As with every alcoholic beverage, absinthe finds expansive application in cocktail preparation. 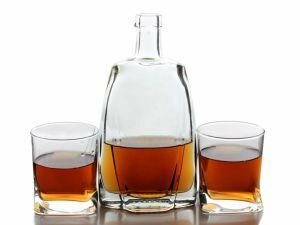 It can be combined with fruit beverages, as well as other spirits. In the various cocktails, it may be combined with brandy, gin, whiskey, liqueurs, Pernod, rum and vermouth. Don't forget that even though this combination may be a gift to the senses, it can also be dangerous if one were to overconsume the cocktails. It is thought that the benefits of absinthe are dwarfed by its negative qualities. It has a therapeutic effect because of the herbs it's made from. 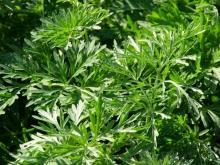 Remedies from wormwood have been used for curative purposes for a long time. They have a beneficial effect against jaundice, some female problems, anemia and rheumatism. Drinking the beverage improves appetite and has a benign effect on the digestive system. 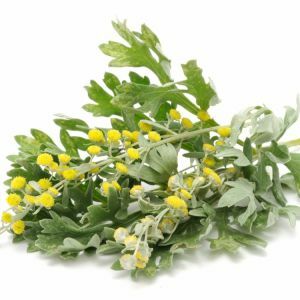 In addition, it is believed to have a relaxing effect and can be used as an aphrodisiac. Absinthe is used to treat flu, cold, bronchitis. It has a warming and antiseptic action. Further, it's been proven to help the faster healing of abrasions. Absinthe finds presence in the folk medicine of some Western cultures. 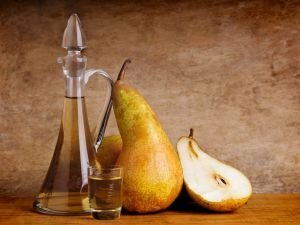 According to one recipe, bronchitis can be better treated by drinking a mixture of milk (2/5 cup), absinthe (2 tbsp) and honey (1 tsp). This remedy alleviates the throat pain and helps quickly get rid of the blocked secretions. According to traditional folk healers, an absinthe compress helps against joint pains. Mix 3 1/3 tbsp of absinthe, some pork lard and 2/5 cup water. Lay out the resulting mixture over a thick gauze. Place the gauze on the affected area and wrap it with a plastic bag. Then cover with clothing. After 40 min, remove the compress and wash the area. Some experts continue to claim that absinthe is one of the most dangerous alcoholic drinks. 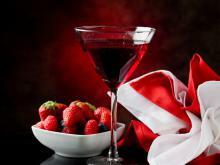 They state that one should be very careful with the drink since it causes alcohol dependency very rapidly. Consuming absinthe is said to lead to hallucinations, memory loss, fainting, irritation, hysterical laughter and other issues.